About 2 months before your registration is due a "Club Permit" renewal form and new logbook should arrive in the mail. This is a good reason to keep your address current with VicRoads. 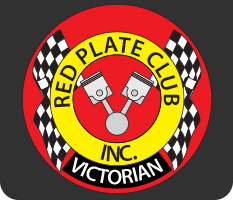 In regards to the Club Permit Scheme (CPS), addresses must be updated in person at VicRoads. As of July 2018 the CPS data is available to the VicPol vehicle checking system with only basic details available to the police. Being registration number, owner and expiry date. Not the club. Forward the CPS renewal form via snail-mail to the club secretary. The secretary will sign the form and return it in the mail. The turn around time is generally less than a week. The Permit holder then takes the signed Club Permit document to VicRoads to pay the relevant fee. Check all details carefully - If any details on the Club Permit renewal notice are incorrect a new notice should be issued. Call VicRoads on 131171 if you wish to change the number of driving days (45 or 90 days). If you start with a 45 day permit, you can renew for an additional 45 day driving days within the same permit period (before the date of expiry).